"God is in the business of raising up leaders." —J. Robert (Bobby) Clinton When good leaders are needed, when the work is urgent, our immediate reaction is to enlist new leaders. Instead we are called to invest in new leaders. Good leaders are developed in and through slow, deep mentoring. To think otherwise is to embrace the myth of the quick fix. We proceed, instead, by paying careful attention to and joining in the work God is already doing in people's lives. This book is designed to help you know better how to come alongside others as a guide and a friend, to invest in their spiritual formation and leadership. If you want long-term impact on the lives of future leaders, how you guide must be as important as the content you impart. Only then will youl see lifelong change and empowerment in those you mentor. Randy Reese and Robert Loane show you how to make the most of this crucial ministry. They offer a biblically grounded approach that also draws on the research and teaching of Bobby Clinton as well as their own experience in resourcing churches and Christian organizations. Jesus Christ still calls people to become leaders in a lifelong journey of conforming to his image. 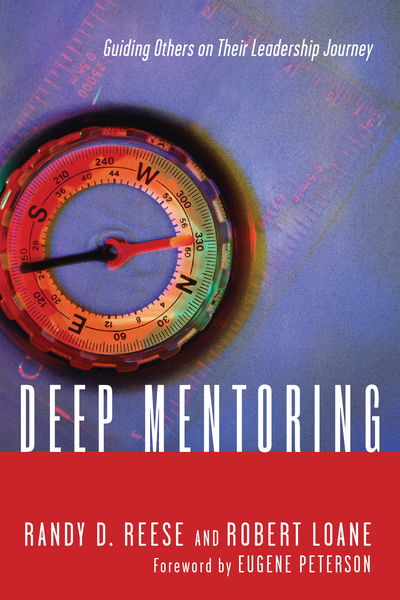 Join him as you guide others through deep mentoring.